After updating the Office suite for Android last week, Microsoft has now released updates for all of their Office apps on iOS. The 1.25 update adds several new features and support for storing Office files on Edmodo and Tencent (Tencent micro-cloud). 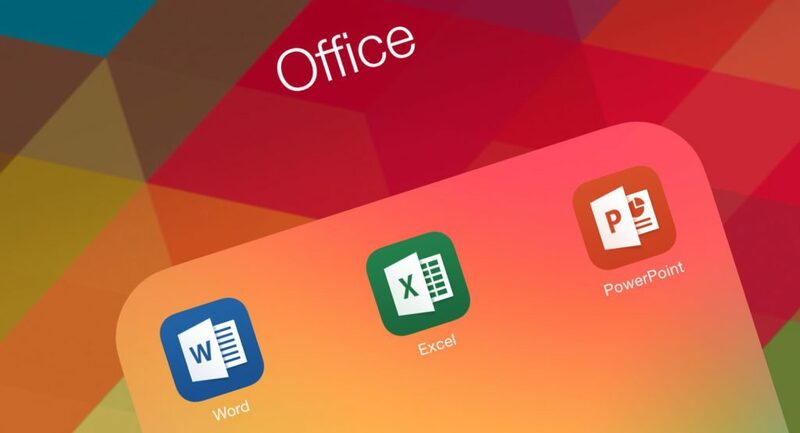 Due to the complexities and restrictions by Apple, the Office suite is split into three apps – Word, Excel, and PowerPoint. To get all of the features included in these updates, you will obviously have to update all three apps. PowerPoint has been updated with some interesting features that are – at least for now – exclusive to the iPhone. During a presentation, you can now point your phone at the presentation screen then “press and hold in the notes area” to turn your phone into a virtual laser point. There are no actual lasers involved obviously – this feature is using the various sensors in the phone, but it is an extremely interesting implementation. For now, the feature is not only exclusive to the iPhone but also limited to only the Office 365 subscribers. The Word app has been updated with a new ‘Smart Lookup’ feature. All you have to do is tap on a word or phrase and select the ‘Smart Lookup’ option. You will then get served relevant information about the word or phrase – it could be images, destinations, or anything in between. This feature has been around on the Office desktop suite for quite a while now, but it might turn out to be handy for people on the go. MS Excel didn’t get any new features specifically in this update besides the Edmodo and Tencent integration – why? Who knows. Perhaps the Excel team is working on something that isn’t quite ready yet. This update for the Office apps brings some interesting features, but the Edmodo and Tencent (腾讯微云) integrations might end up being the biggest one of the features. The office will now let you store and access your files from within these services across all of the Office suite. The Tencent integration is obviously targeted towards the Chinese audience, many of whom might find it extremely convenient.